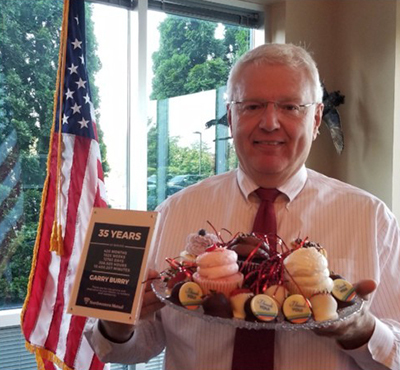 Congratulations to Garry Burry on his 35th anniversary with Northwestern Mutual. Your clients, community, and Northwestern Mutual family thank you for your dedication. The 2018 NAIFA Congressional Conference brought 850 NAIFA members (Garry, far left) to Capitol Hill to advocate for policies that encourage families and businesses to save for retirement, protect against financial risks, and support industry-helpful legislation. The Government Relations team hosted NM NAIFA attendees for dinner in downtown DC on May 22nd, as well as lunch on Capitol Hill on the 23rd. Senator Rand Paul met with Northwestern Mutual’s Garry Burry (Representing NAIFA) about tax reform and how to make it possible for people to keep more of their own money for financial planning. 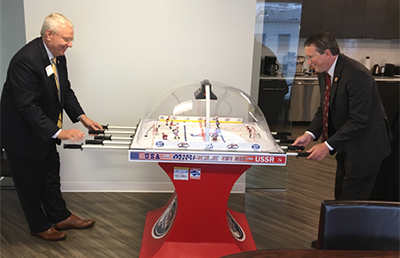 During the NAIFA conference, Congressman Massie and I played ice hockey. Should I have let him win? I won 3-0! Louisville, Kentucky-Garry Burry joined hundreds of other professional insurance agents, advisors, brokers, consultants and employee benefit specialists from across the country in Washington, D.C. on May 24 to meet with U.S. Senate and U.S. House members and their staff as part of the National Association of Insurance and Financial Advisors’s Annual Congressional Conference. 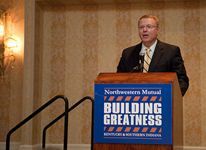 Burry, a local Estate and Business Planning Advisor with Northwestern Mutual, is a member of the National Association of Insurance and Financial Advisors, the nation’s oldest and largest insurance and financial services association, which sponsored the event. 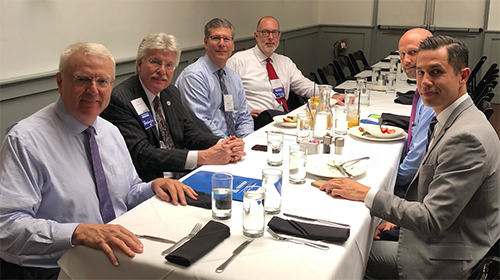 Burry joined NAIFA leaders, including Government Relations Chairs, Association Presidents and Executives from all 50 states; NAIFA President Paul R. Dougherty; NAIFA President-Elect Keith Gillies and members of NAIFA's Board of Trustees for the event. Congressional Conference attendees talked with their members of Congress about the importance of life & health insurance, annuities, retirement savings, federal tax reform, senior and consumer protection legislation and employee benefits for their clients and the U.S. economy. The life insurance industry pays out $1.7 billion each day and supports 2.5 million jobs. 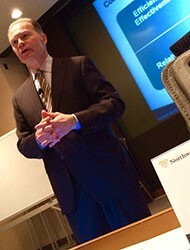 On March 2nd & 3rd, Garry attended a conference in Milwaukee on multi-generational wealth transfers, the role of business valuations and current state-of-the-art Estate Planning. Garry attended a two-day conference in Dallas, Texas covering Business and Estate Planning as well as a motivating and entertaining presentation by Daymond John, from the popular TV show Shark Tank. Garry had a great relationship with Owen Pillans, a 28 year Northwestern representative who died in 1995. 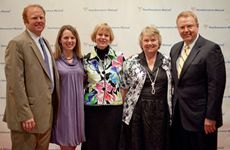 Garry had the opportunity to honor Owen at the Legend's Lunch at the Network office gathering in April 2010 in Lexington. Next to Garry are Owen's daughters Susan Pillans and Carolyn Warnock and Carolyn's two children Matthew and Annie.